Sony’s Invizimals series has been through some changes since its inception on the PSP and has finally made its way to the PS3, ditching the augmented reality features to bring a traditional action platforming experience to the console. As expected, it doesn’t threaten the genre dominance of the Ratchet & Clank games, but is worth a look for younger gamers. Parents, older siblings, or other family members of young children should take a look at this one instead of settling for the usual movie/TV licensed guff. In Magenta Software’s game, you control Hiro, a teenage secret agent who has been sent to a distant world populated by the mystical Invizimal warriors to help them fight a robot army. It’s all very child-friendly and features enough bright colours and energetic characters to keep them entertained in short bursts. It’s is an easy game to play thanks to basic controls and a gentle difficulty curve. Some players may find it similar to the Skylanders games, but parents will be glad to hear that they won’t have to succumb to pester-power for new toys to play with in-game. Who among us dared to imagine that after playing the miserable corridor that was the first Final Fantasy XIII, we’d be lining up for a third game in the series a few years later. The sequel, XIII-2, eased up on the linearity, but was still a mess on the battlefield. It’s baffling to think that of all the great Final Fantasy games in years gone by, the almost universally slated XIII series is now a trilogy. But throughout my time spent playing the previous two games, there remained a streak of perseverance. The ongoing story of sacrifice, family and loss always deserved a better game to be a part of. The cast have always been one of my favourites in a JRPG too, despite being a bit on the broody side a times. Following Heavy Rain must have been a daunting task. The interactive drama wasn’t to everyone’s tastes thanks to the quick time event heavy gameplay. But there’s no denying it was a unique game that told a story in a way a film would never be able to. So here we are with Beyond: Two Souls, another game written and directed by David Cage and developed by the highly respected Quantic Dream. Beyond, enters new territory though, dropping the crime genre for a tale with a sci-fi edge that’s keen to cut into the concept of death and what awaits us on the other side. It has an episodic feel, making it more comparable to a TV series than a film. I mean, how many 12 hour films have you seen recently? We’ve come to expect actors’ performances to play a key role in Quantic Dream titles, with some excellent work from the cast of Heavy Rain and the excellent facial motion-capture that lifted the game high above the competition. So it makes sense that this time they would reach out to Hollywood and bag some big-name talent. Sony have a strong history in recent years of nurturing development talent eager to try something a little offbeat, risky or arty. We’ve had Journey and The Unfinished Swan and we’re bound to see more of their kind on the PS4, but before we take that leap onto next-gen in November, we have a title many of us have been looking forward to since its initial reveal back at Gamescom 2012. Rain takes place during one evening in the rainy streets of Paris. Hearing a noise outside, a boy looks out his window to see a ghostly silhouette of a little girl run past. He climbs outside to investigate only to discover that he himself has turned into a similar ethereal figure. There isn’t much time to dawdle though as there are sinister creatures on the prowl too, so you must guide him through the streets to help him find the girl and make his way back home. Square Enix aren’t the fastest of movers when it comes to giving us what we really want. That Final Fantasy VII remake doesn’t appear to be on its way soon and Kingdom Hearts III has only just been announced. In the meantime though, we’re more than happy to revisit the past in their latest HD collection, Kingdom Hearts HD 1.5 Remix. Rather than just give us HD versions of the main canon PS2 games, Square are making the effort to bring players up to date with the Nintendo-only spin-offs and region-specific releases. Naturally, this leaves room for another HD collection before KHIII. Typical, just like waiting for a bus. We’ve been waiting for a decent platformer for ages, then two come along at once in the shape of Rayman Origins and now Sony’s Puppeteer. So, rather than stress yourself into an early grave trying to beat all the timed challenges in Rayman once you’ve made an initial playthrough, pick up a copy of Puppeteer as it’s been released cheaper than most new games. This is classic 2D side-scrolling territory, the purist’s choice of dimension for platforming. As you can see by the visuals, this is going for something a bit unusual with its handcrafted puppets and theatrical stage design. While knee-jerk reactions may compare the visuals to LittleBigPlanet, the fact of the matter is that this is a considerably better-looking and better-constructed platformer. I love how so much of the scenery is interactive and not just painted on. With every scene transition, you see everything bounce as if the stage has literally just been dropped into place, giving everything a touchable physicality on your TV. Low cost downloadable RPGs are something of a rarity on consoles, with only Rainbow Moon coming to mind in recent years as anything vaguely worth your attention. Mars: War Logs would like to get involved with the genre too, despite being more of an action-RPG. Set far into the future, Mars has undergone colonisation, but that new civilisation has long since collapsed. It has been replaced by warring water companies as everyone inexplicably fights over the dusty hellhole. The superhero barrel gets another scraping for yet another video game tie-in. This time, for Marvel’s Merc With a Mouth, Deadpool. The dude hasn’t even had a movie yet. But hey, that might work in his favour. Remember those bits in Demon’s Souls when you finally overcame a tough stage or defeated a boss that had been smashing your broken body into the ground every time you scrambled through hell on earth just to get to him? Felt good, yes? Well, it’s a good thing you probably still have plenty to do in Demon’s Souls and Dark Souls, because despite Strength of the Sword 3 proudly wearing its tough difficulty badge with honour, it’s amateur hour when it steps into the arena with its rivals. I like to think I have a fairly sound knowledge of games released in the last ten years, so it was with a mild sense of shame I accepted the task of reviewing part three of a series I’d never heard of. After my first hour with the game though, I was convinced something was amiss. How the hell had this monster managed to escape from a dev kit beforehand? Had it always been like this? Platforming performance receives standing ovation. Fans of Alien Hominid and Castle Crashers rejoice. The Behemoth have returned and they’ve struck gaming gold again. After nailing 2D scrolling shooters and beat em’ ups they’ve turned their hands to old-school platforming. And it’s fantastic. The bright and crisp cell-shaded 2D art style is striking, compelling throughout, and consistent with the studio’s previous games. Many of the characters have something of a cutout feel to them, hell, some of them are literally being bounced around on sticks like puppet placards, but it all works so well. After Duke Nukem’ Forever, you wouldn’t be insane to doubt Gearbox Software’s capabilities. But hold on a sec, they were only finishing off someone else’s mess right? They were just keen to finally get the game out. Even so, pride should have stopped them releasing it in such a poor state. Then Borderlands 2 came along and was met with great sales and wide critical acclaim. 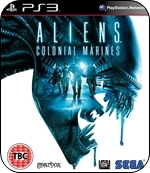 So, maybe their frequently delayed Aliens: Colonial Marines would be ok on the day. After all, it’s been Gearbox’s game since birth and numerous videos clearly show a franchise-adoring staff. So, they wouldn’t f**k it up, right? Cue the angry sobbing. 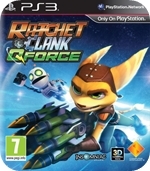 The Ratchet & Clank series has been somewhat unpredictable in recent years as it seems to be trying to reinvent itself with the last few games despite a strong following and decent review scores. Its blend of planetary exploration, platforming and fantastically fun weaponry was a hit every time, culminating in the excellent A Crack in Time in 2009. 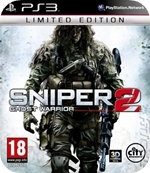 In 2011, the series delved into co-op gameplay and despite dumbing down the controls to remove manual aiming and allow all players to share a single screen, the game was an enjoyable blast with the usual polish we’ve come to expect from the series. It was surprising to hear the studio was working on yet another R&C title after announcing the multi-platform Fuse. We were hoping for something along the lines of A Crack in Time again, but alas we have a PSN tower-defence download title. Wait… what? One brick to rule them all? Or in the laziness bind them? Despite being released nine years after the final film, the memories are still strong enough to make the latest tie-in feel like a relevant entry to the series rather than a late cash-in. I’m sure the upcoming release of the first Hobbit movie has nothing to do with Traveller’s Tales and Warner Bros. Interactive waiting this long. Ok, so maybe a little. Since the Lego series began, we’ve seen it grow in terms of production values. 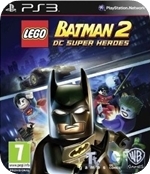 The graphics have been steadily improving and the recent Lego Batman 2 introduced fully voiced characters for the first time, which allowed the series to portray a proper story and a damn amusing one at that.